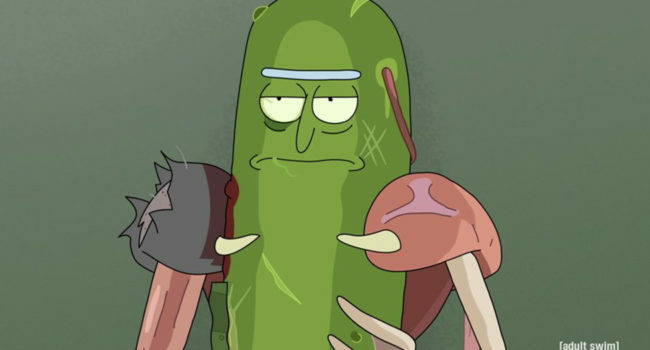 When Rick Sanchez from the [adult swim] comedy series Rick and Morty does not want to go to therapy, he turns himself into a pickle and becomes Pickle Rick! Summer Smith (Spencer Grammer) is the sassy teenage sister of Morty Smith (Justin Roiland) and granddaughter of mad scientist Rick Sanchez (also voiced by Justin Roiland) in Adult Swim’s Rick & Morty. While she and Morty often fight in the way that siblings do (or perhaps to a greater, more chaotic extent thanks to the ordeals their grandfather gets them into), the pair really does care for each other, although Summer often expresses jealousy in not experiencing the same adventures. In the multiverse of Rick and Morty, the creature Unity (Christina Hendricks) is both an alien collective hivemind and also the former lover of Rick Sanchez (Justin Roiland). While Unity can take the form of many/multiple genders and races (and likely is not limited to such), it often assumes a more prominent, dominant form of a humanoid female wearing a magenta skirt-suit when around Rick and the grandkids. Alan Rails (Lance Reddick) was a member of the superhero group The Vindicators in Rick & Morty. After the tragic death of his parents in a freak train accident, he gained the ability to summon ghost trains and uses them as tools or weapons. He was married to fellow Vindicator, Supernova (Gillian Jacobs), up until their divorce due to an alleged affair between her and Million Ants (Tom Kenny). In Rick and Morty, Mr. Meeseeks are creatures who live to serve, but not for too long. Their optimistic, cheery personalities eventually turn sour and even violent the longer they live without fulfilling their purpose. For this costume, you can show off your paper mache skills while crafting the head. A basic tutorial can be found here. In Rick and Morty, Rick Sanchez is a genius scientist who splits his time between domestic squabbles and intergalactic time travel, bringing his distressed grandson Morty along for the ride. 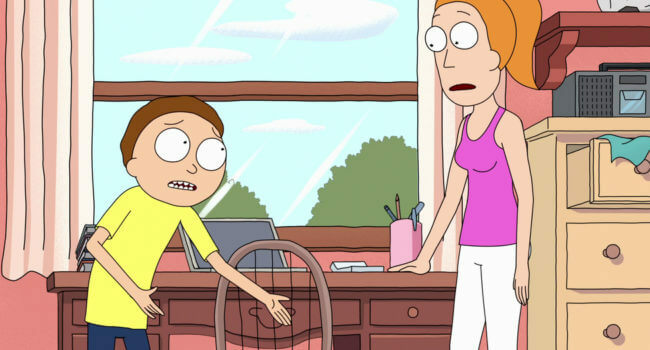 In Rick and Morty, Morty Smith is an ordinary boy who gets roped into his grandfather Rick’s scheme, which don’t always work but never fail to leave Morty traumatized.